This is supposed to be an interview with Balmain’s young and talented designer, Olivier Rousteing. But why am I bringing up quarter life crisis with this interview? At the age of 27, there are times we might feel doubtful, lonely, confused and scared about our own life. On the contrary, Olivier’s down to earth personality, charm and success is a great inspiration for us. Also his eye for fashion creates one of kind concepts from his travel experiences and knowledge. Find out more about Olivier Rousteing’s positive attitude and thoughts……. Was there a big difference working at Roberto Cavalli and Balmain? When I started working at Roberto Cavalli, I was only 18. Everything was so new; I learned and gained so much experience during those years. Balmain is a small house compared to Roberto Cavalli’s Empire. It was amazing to work for both, but to be honest I enjoy working for Balmain. 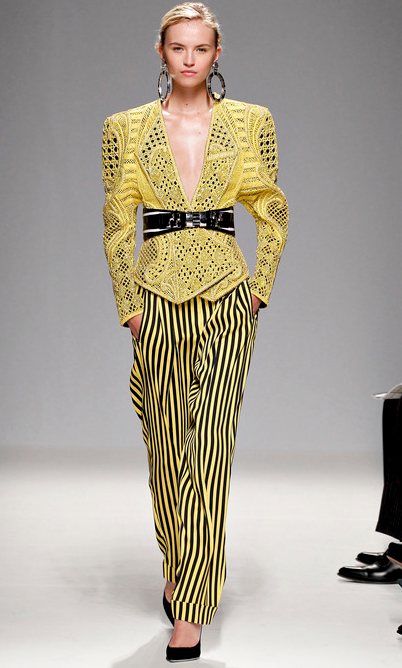 It feels like Balmain is more of myself compared to Roberto Cavalli. 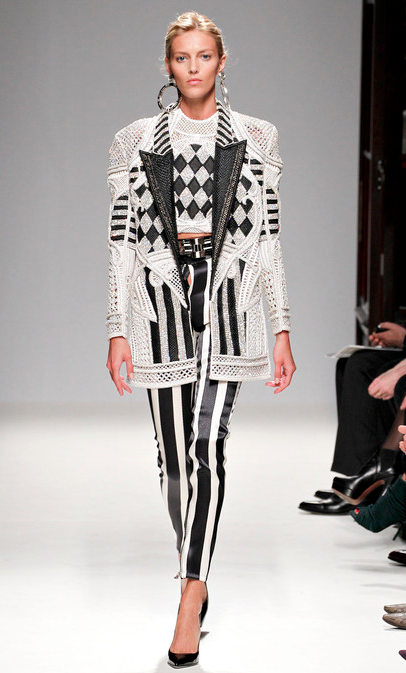 In terms of my own taste, I thought Balmain is the right company to project my creativity. Can you describe how you work with your team? Our team is fairly small, but it’s a group talented people from different places that share the same passion. We enjoy working, dinning and partying together; it’s a team full of family spirit. What do eat when you are designing? I love to eat chocolate and chicken nuggets while I am designing and my favorite sauce is Barbeque. 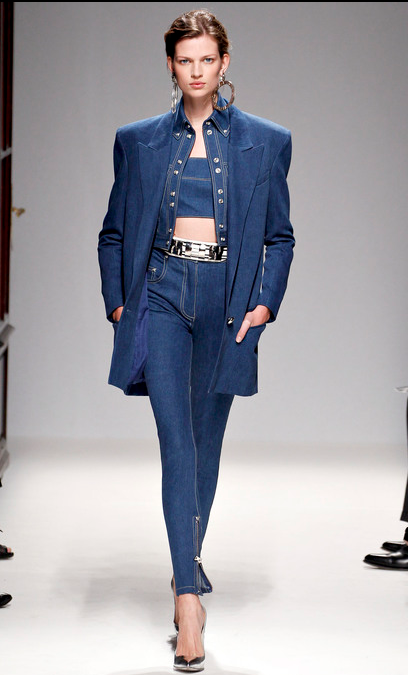 Who is your ideal Balmain girl? I don’t have a specific person in mind; my story of a Balmain girl should be strong, fierce, powerful and modern. A woman that is not scared to get what she wants and that brings another level of sexiness. I work too much; I seldom watch movies in the cinema now. My all time favorite movie is “Babel” starring Brad Pitt. I love all kinds of movies, from chick flicks to horror (I find Asian ones really scary). Instead of thinking about the pressure, I always find the fun part of each project. More pressure equals fun to me! I feel very lucky to be surrounded by honest people who supports, helps and loves me. It’s important to keep all these feeling and emotion real. Share with us your feelings when you face negative comments? You cannot blame or critique a bad comment, some people will love, hate, like or won’t add any comments. That’s the game when you work in fashion and you cannot control it. I am now 27, and for anyone I think it’s pretentious to say you don’t want to learn. That’s why it’s essential for me to speak to people around me and not be afraid to learn from my mistakes. Olivier shares his favorite piece from FW12 collection. Tell us a bit about your SS13 collection? 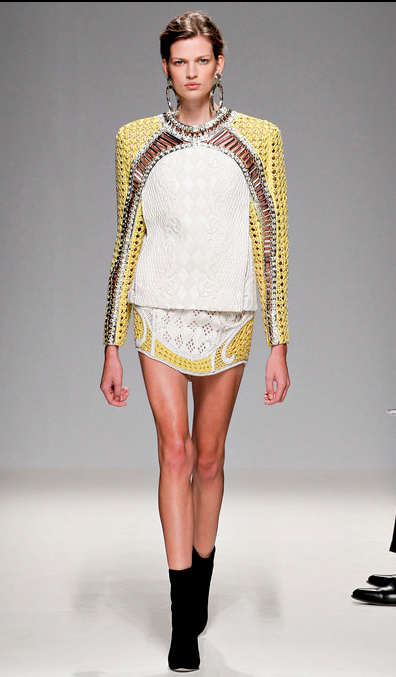 Latino Power in Miami was my inspiration for Balmain’s latest collection. While I was traveling there, I realized that Miami wasn’t just all about parties; it’s full of hope, American dreams and mixed culture. I wanted to bring Miami’s feeling of summery happiness by pushing the limits of shapes (especially the shoulder pads), colors and patterns. Before creating this collection, I referenced back at archives collection and noticed a mixture of culture in each collection. This is something I would like to continue throughout my designs. At such a young age with great success, Olivier’s humble and positive attitude is something that really impressed me and I hope it inspires you too. It was a great pleasure to be able to talk and know more about him. Thank you itasaiapacific.